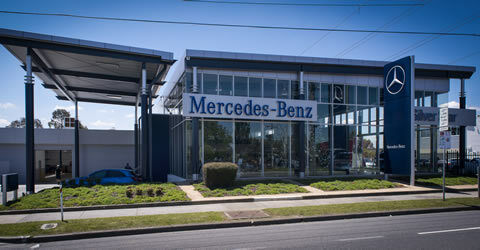 Design and construction of a multi-million dollar redevelopment of the existing Mercedes-Benz dealership in Doncaster. 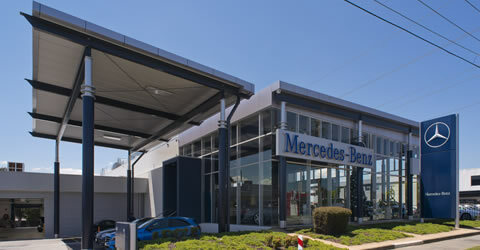 The redeveloped dealership is large enough to accommodate all current and future area requirements, technologies in the retail and automotive industries, and be instantly recognisable as a Mercedes-Benz Autohaus dealership. The Autohaus Concept is the benchmark for Mercedes-Benz dealership design around the world. The project scope consisted of demolishing the majority of the existing showroom and workshop and conversion and expansion of a car storage area, and construction of a Level 1 Amenities Block. 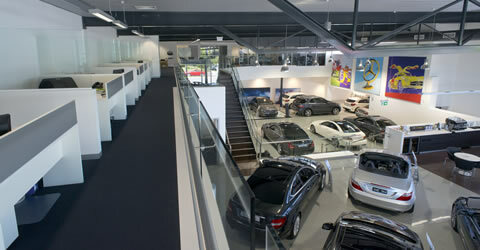 The main showroom area comprises three main spaces- a spacious double height new car showroom, a lower mezzanine showroom, both with associated sales and administration offices and amenities and an upper mezzanine administration area. The expanded ground level workshop accommodates up to 12 work bays and associated workshop administration offices, parts storage areas and amenities. 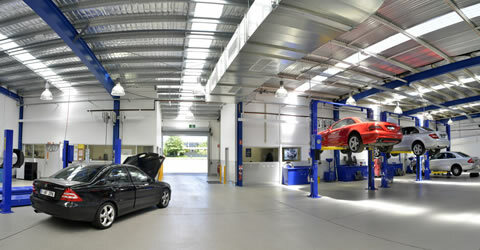 A new first floor workshop amenities and staff training rooms was constructed above the existing minor workshop at the eastern end of the dealership. 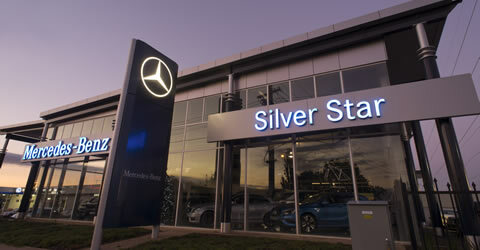 The redevelopment of the dealership was staged with construction milestone programmed to coincide with the dealership’s operational and business requirements. As the dealership was to remain open during construction, careful consideration was given to establishing effective coordination, construction methods and sequencing. This benchmark facility takes reference from the famous Autohaus design principles respecting the local context and its immediate surroundings to create an iconic and internationally identifiable modern facility with high external visibility.